Born and raised in Boston, Georgia Lyman has been a lifelong participant in the performing arts. 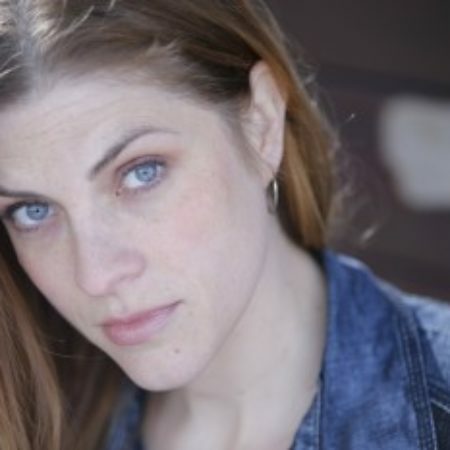 After a decade as an award winning actor, she stumbled upon a love of producing and curating through her critically acclaimed theater company, Orfeo Group. In her tenure as a co-producer with Orfeo, the group won several Eliot Norton awards for Outstanding Production. Curating across genre and without boundaries, she creates atmospheric performance experiences which excite, inspire, and leave audiences wanting more. She has recently been named the Artistic Director of TEDxCambridge, and is preparing for the annual event, held at the Boston Opera House on October 12th. Her work has been seen at Harvard Square’s Mayfair, with immersive spectacle theater in nightclubs, and for Medicine Wheel at the historic Cyclorama. Currently she is curating a season of free events at Lawn on D, running from May 13th to October 28th. She is most well known as the Artistic Director of Outside the Box, Boston’s largest interdisciplinary outdoor performing arts festival, where she has presented over 2000 individual artists over 3 years. Georgia is wholeheartedly committed to raising the arts & culture sector to be on par with the more widely accepted Bostonian fields of medicine, tech, and higher education. She still can be seen on stage and screen, if you know where to look. She loves collaborating, artistic risk-taking, home made bread, and finding what’s next.